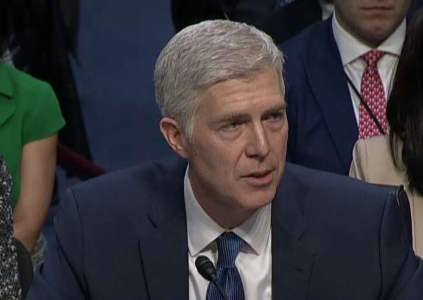 The battle for the ideological swing vote in the Supreme Court today began today, with the opening of the much-anticipated confirmation hearings for Donald Trump's Supreme Court nominee, Judge Neil Gorsuch. 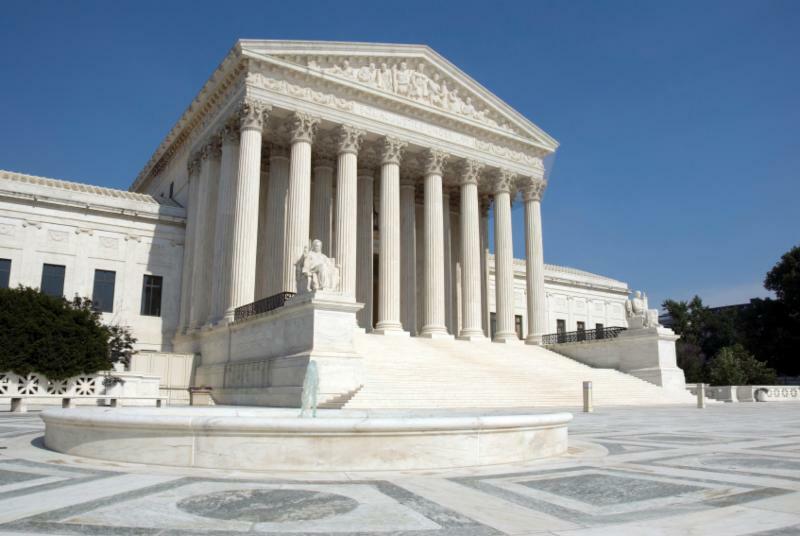 As established under Article III of the United States Constitution in 1789, there are 9 Justices that sit on the Supreme Court of the United States (SCOTUS), including a Chief Justice. A lifetime appointment, most Justices serves until retirement or death (average tenure is 16 years), at which time the current President of the United States (POTUS) nominates a replacement. The Court has been absent one seat since the death of Judge Antonin Scalia on February 13, 2016. Although President Obama nominated Chief Judge of the DC Court of Appeals, Merrick Garland, on March 16th of last year, Senate Republican leadership refused to schedule a hearing on Garland's nomination while Obama was still in office. Gorsuch, 49, who currently sits on the United States Court of Appeals for the Tenth Circuit, is the youngest Supreme Court nominee since Clarence Thomas was nominated in 1991 at the age of 43. 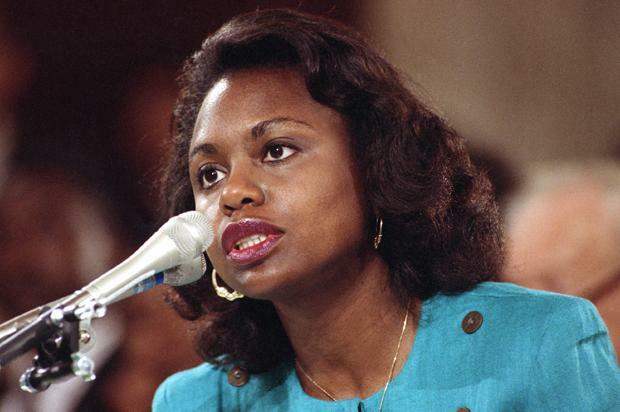 Thomas' nomination also marked one of the most controversial appointment processes in history, following sexual harassment charges by then-law professor Anita Hill who worked with Thomas as a federal employee at DOE and EEOC. The first nominee to undergo the modern practice of testifying publicly before the committee was Harlan Fiske Stone in 1925, who had controversial links to Wall Street; and the first subjected to questioning was John Marshall Harlan II in 1955. In over two centuries of considering SCOTUS nominees, the Senate has rejected only twelve - the most recent of which was Robert Bork in 1987. The President of the United States nominates a candidate to the Supreme Court. The Candidate is referred to the US Senate Judiciary Committee for public confirmation hearings, including a cross-examination of his/her professional credentials, and political and policy positions. The Candidate and Committee may also call witnesses on behalf of, or in regard to, the nomination. If a majority of the Senate Judiciary Committee approves, the nomination is "voted out" of Committee to a full Senate "floor" vote. If Democrats attempt to obstruct the confirmation process with a filibuster (an extended debate to delay the vote), Senate Majority Leader Mitch McConnell could trigger the "nuclear option." The nuclear option is a parliamentary procedure which allows for amending from 60 to 51 the votes needed to invoke cloture (the end of debate). After cloture is invoked, the Full Senate will vote on the nominee. Full Senate approval requires 51 votes, or a simple majority. If confirmed, the President would then formally appoint the nominee to the Court. The Senate Judiciary Committee heard Gorsuch's opening statement this morning and will begin questioning tomorrow. Anxious to push the process through, Committee Chairman Charles Grassley (R-Iowa) has already scheduled a Committee vote on the nomination for April 3. While the nomination of the conservative, well-regarded Gorsuch is considered a home run by Republicans -- Democrats still angered by the GOP obstruction of Garland's nomination are not giving up without a fight. The hearings, which could run a full four days, are cast live on CSPAN. DemList will keep you informed on all daily developments. The 2016 Republican presidential contest has set the stage, for the first time in 68 years, for a brokered convention.